Individuals were encouraged by their teachers, professors, and other superior figures in life that they should excel and bring out the best within them. In order to see if they have been performing well and are headed down the right path, a self evaluation form may be filled up and completed. The process of an evaluation is essential because it is a method that can help an individual gain a higher sense of self-awareness in regards to his or her performance. It is the job of supervisors and managers to be Creating Evaluation Form for this process in a training program or assessment period. What Is a Restaurant Evaluation Form? 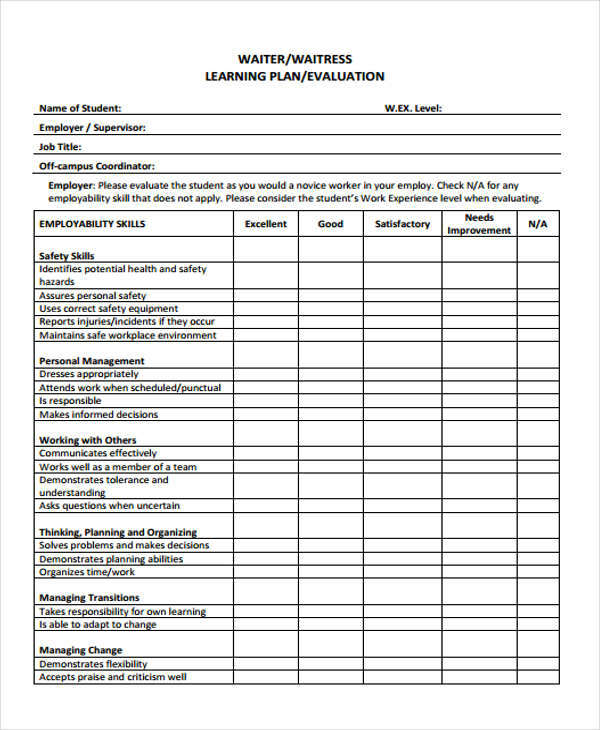 An evaluation form is expected to comprise of a clear and understandable format with content that is valid enough to answer the main subject of the evaluation form. 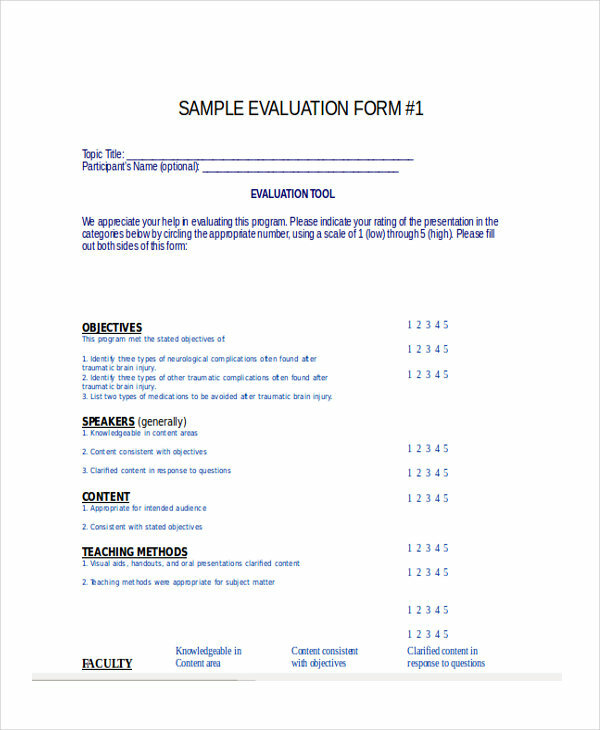 A evaluation form template may be provided to the delegated individual in order to achieve the standards of a well-written evaluation form. 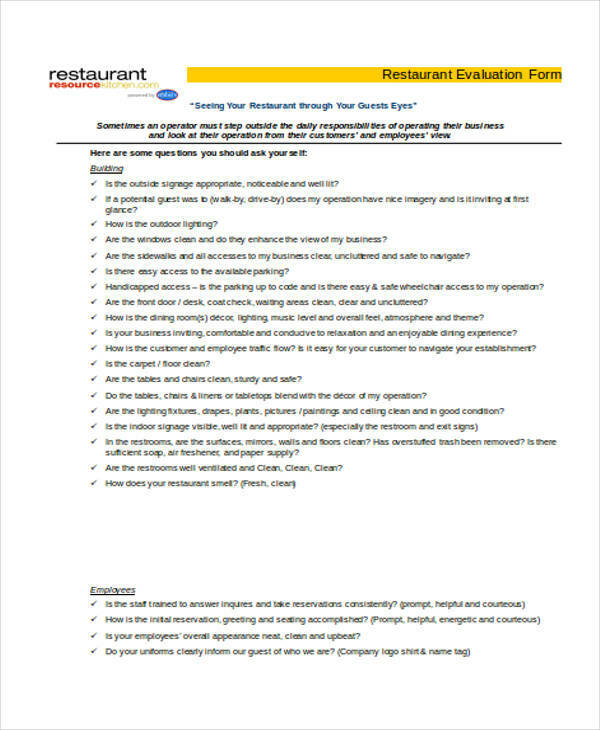 One kind of evaluation form is the restaurant evaluation form. 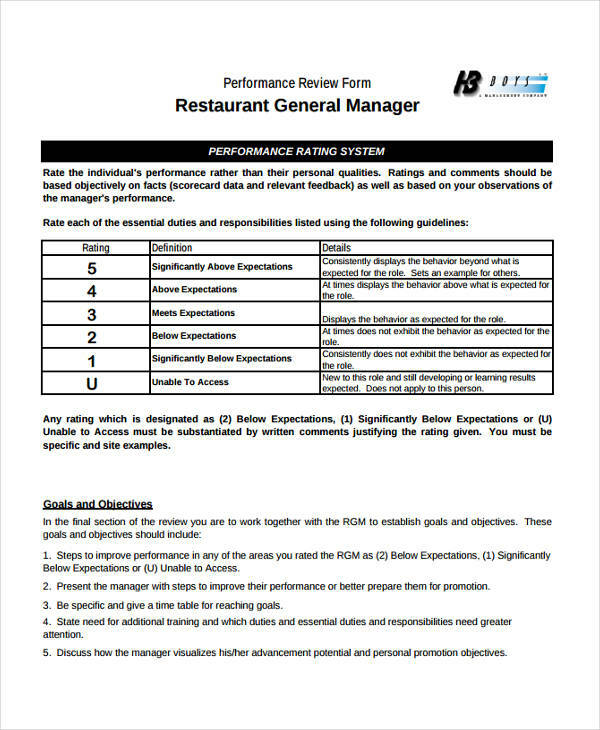 This form intends to measure the quality of the restaurant’s service and staff. It contains categorized items that checks how the staff tend to the customers, how well the food is being served, and the quality of the food itself. The general rule to follow when filling up and completing any kind of evaluation form is to answer the items with the correct and precise information. For example, when employee evaluation forms are to be completed, the appointed evaluator should be honest with the employee’s performance. A restaurant evaluation form contains a number of categories which have items that are inclined to the different things to check. 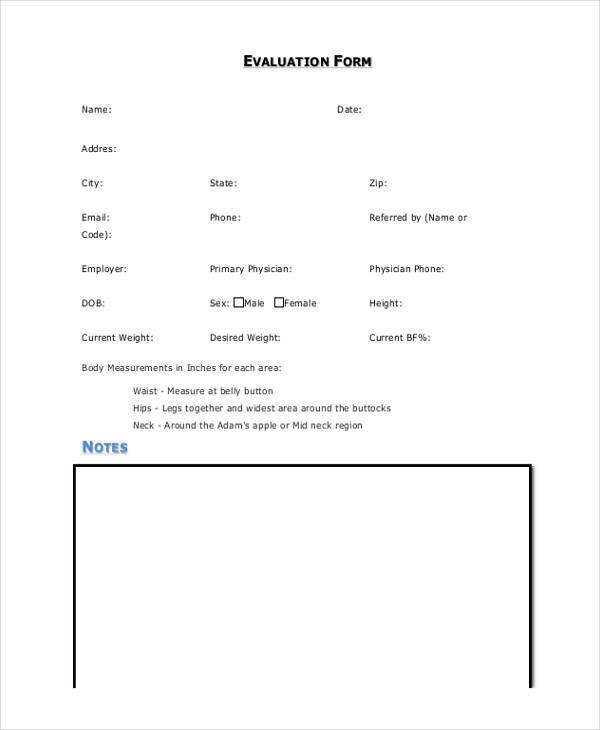 The form starts out with the check-in details of the evaluation such as the evaluation date and the arrival time. 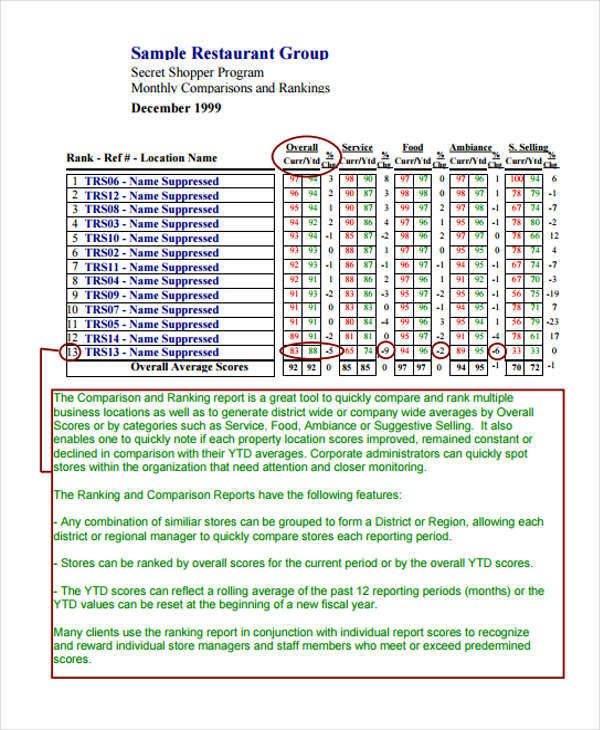 The server’s name and description of the manager is included in this section. The following sections have items that specify the server’s performance, the time the food has been served, and the environment. 4 Steps to Evaluate a Restaurant? There comes a time where an evaluation must be conducted on the restaurant. It is the job of the assigned evaluator to be observant when he or she conducts the evaluation. The evaluation can occur in four simple steps. The form that records data from the evaluation may be based from evaluation form in PDF forms and customer evaluation forms. The ambiance of the restaurant is checked as well as its cleanliness. The evaluator should be keen on the service the staff presents. Food is the most important thing to evaluate since that is what the restaurant is focused on producing and selling. The details of an evaluation report is important to its recipients. In the instance that an employee receives the results of manager evaluation forms, he or she will be able to know what are the key factors that he or she needs to work on. For the restaurant staff and managers to become better and improved, they check on the evaluation report. A well-written evaluation report is created by first gathering necessary information from the evaluation process. Important positive and negative points are relayed in the report. The conclusion summarizes the actions needed to be taken and what factors don’t require any improvement.